Wayne, PA – Bracket, a leading clinical trial technology and specialty services provider, today introduced Amir Kalali, MD, as its Executive Advisor for Global Strategy . Dr. Kalali joins Bracket as a recognized leader in drug development methodology and technological innovation. Dr. Kalali will work with Bracket’s leadership to help identify innovative technologies to support the evolution of its integrated growth. In addition, Dr. Kalali will assist in the acceleration of growth in Bracket’s CNS product lines in other fields of medicine. He is Professor of Psychiatry at University of California San Diego, Editor of the journal Innovations in Clinical Neuroscience, and the Lead Editor of the book Essential CNS Drug Development, published by Cambridge University Press. He has authored over 150 peer-reviewed publications. Previously, Dr. Kalali was Global Head of the Neuroscience Center of Excellence at Quintiles IMS, where he was responsible for the enterprise-wide strategy for neuroscience, encompassing drug development and healthcare services. Recognized globally as a leader in drug development and healthcare with an emphasis on innovation, collaboration, and the intersection with new technology, Dr. Kalali was the Founding Chairman of the Executive Committee of the International Society for CNS Drug Development (ISCDD), a founding member of the International Society for CNS Clinical Trials and Methodology (ISCTM), where he serves on Executive Committee, the Scientific Committee, and previously chaired the Membership and Publication Committees. He is also a founder and Co- Chair of the Scientific Program Committee of the CNS Summit, and serves on the Scientific Program Committee of the American College of Neuropsychopharmacology. Dr. Kalali regularly presents at national and international scientific meetings, and lectures frequently on drug development, innovation, technology, digital medicine and health. He is an advisor to the Center for Digital Transformation at the Paul Merage School of Business at the University of California, Irvine. “We are thrilled to welcome Dr. Kalali to Bracket,” said David G. Daniel, MD, Senior Vice President and Chief Medical Officer of Bracket. “Dr. Kalali’s depth and breadth of knowledge of clinical trial methodology and emerging technologies is unparalleled. 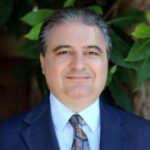 We anticipate that Dr. Kalali will become a major contributor to Bracket’s growth in eCOA, rater training and data quality monitoring solutions.” During his career, Dr. Kalali has been recognized five times by PharmaVOICE magazine as one of the 100 most inspiring leaders in life sciences. In 2014, he was awarded the PharmaVOICE Red Jacket Award in recognition of his career-long contributions to the industry. Dr. Kalali earned his medical degree from the University of London and completed his psychiatry training at University College and Middlesex School of Medicine, University of London.